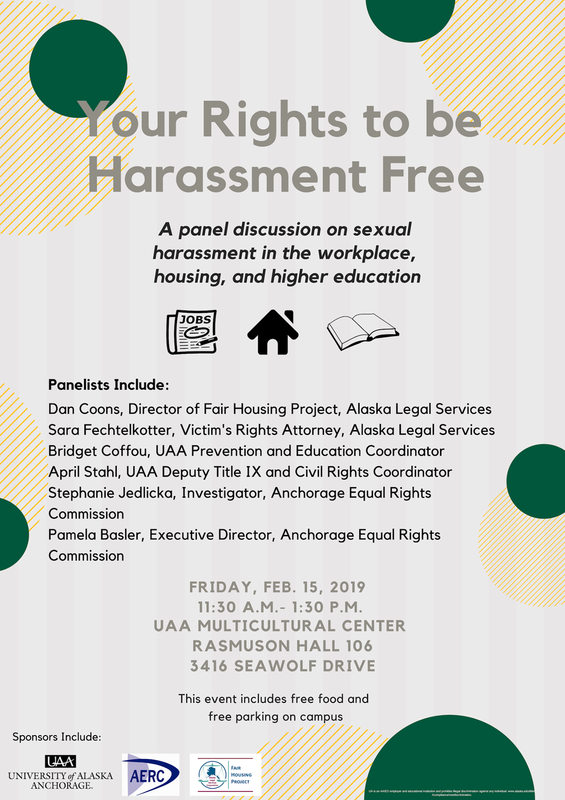 On Friday, February 15, 2019, there will be a panel discussion at UAA (Multicultural Center, Rasmuson Hall 106) from 11:30am – 1:30pm aimed at informing the community of their rights regarding sexual harassment in the workplace, housing and higher education. There will be free food and free parking on campus. Stop by for all or part of the discussion!